The 2018 Coachmen Fifth Wheel Chaparral RV in Texas is the perfect RV to take your family on a trip! We offer three distinct series of 5th wheels catering to most of our customer needs like the Chaparral X-Lite, Chaparral Lite, and the Chaparral Mid-Profile. Come see what the 2018 Coachmen Fifth Wheel Chaparral RV, TX has to offer you and your family! Visit us at Ancira RV in Boerne, Texas to claim one for your very own today! 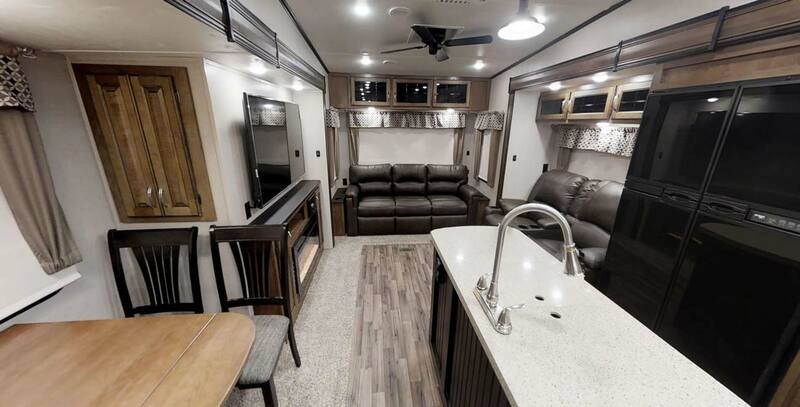 The 2018 Coachmen Fifth Wheel Chaparral RV in Texas has several options you can add to your RV like 16-inch aluminum wheels, 2nd A/C unit for the front bedroom, or panoramic sectional sofa with two tables, only at Ancira RV in Boerne, TX. Come find out what else the 2018 Coachmen Fifth Wheel Chaparral RV Texas has to offer you at your friendly Ancira RV in Boerne today! 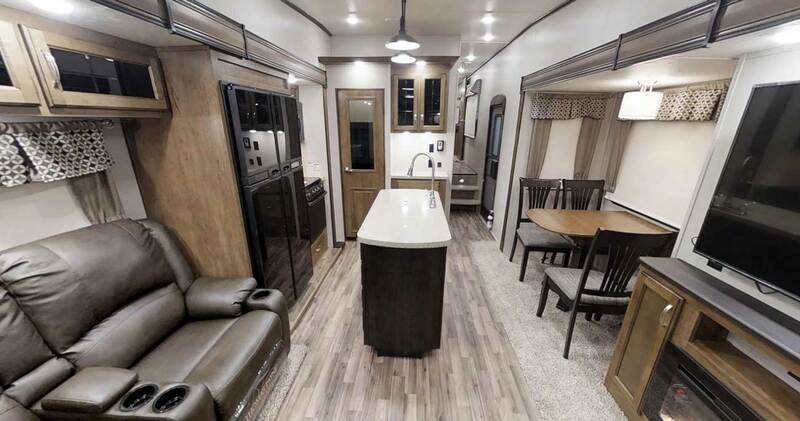 The 2018 Coachmen Fifth Wheel Chaparral RV, TX for sale has distinct features like solar panel prep, front electric jacks, aluminum entry steps, and 15-inch radial tires. This family-friendly RV also features Weather Shield+ that gives you superior protection from the elements. Come check out the 2018 Coachmen Fifth Wheel Chaparral RV at your friendly Ancira RV in Boerne, Texas. The 2018 Coachmen Fifth Wheel Chaparral in Texas boasts a comfortable and roomy interior with plenty of great, convenient features like dual USB charging ports, memory phone, refrigerator, and large shower with sliding glass doors. Inside the bedroom, you will find a 60-inch by 80-inch pillowtop mattress complete with designer bedspread, more dual USB charging ports, and satellite & cable TV hook-up. Visit us at your 2018 Coachmen Fifth Wheel Chaparral RV dealer in Boerne, TX to experience life inside the 2018 Coachmen Fifth Wheel Chaparral RV near TX. With so many great features like a hot/cold outside shower, dual zone thermostat/controller, Weather shield+, and E-Z Lube axles, you'll wonder why it took you so long to get one! 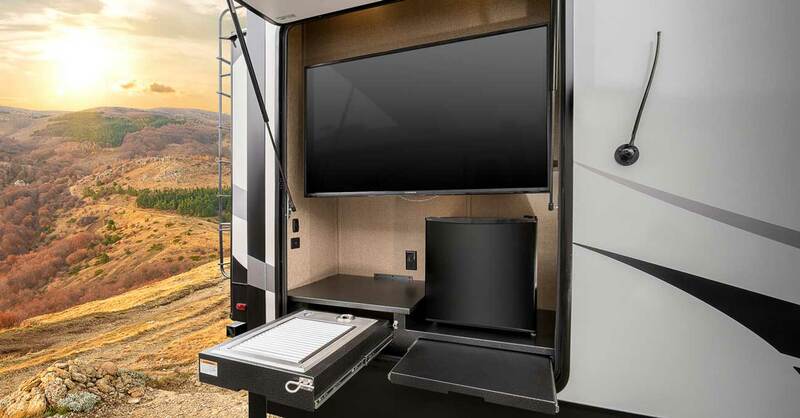 The 2018 Coachmen Fifth Wheel Chaparral RV, Texas for sale near me offers great options like road side assistance, 1-1/4-inch accessory receiver, and 4-point electric auto-leveling system. The X Package includes awesome features like roller shades, stainless steel microwave, and 36-inch electric fireplace. Whether your priority is towing a 1/2 ton truck, or sleeping a family of ten, the 2018 Coachmen Fifth Wheel Chaparral RV Texas dealer has nearly every 5th wheel customer need covered. All models of the 2018 Coachmen Fifth Wheel Chaparral RV, near TX for sale are constructed on the same production line with the same core construction methods and high quality materials. This clear advantage provides consistent reliability, greater R-ratings, and improved towing advantages throughout our entire product range. Features a modern new design inside and out, with the same Weather Shield™ insulation and core composite construction as our Lite and MidProfile Series. Now with more bells and whistles than ever before. 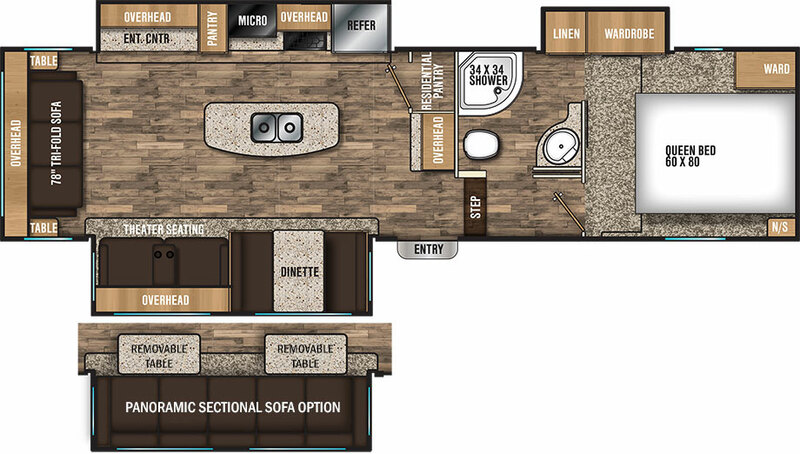 Fully featured and offers luxurious three slide floor plans built with a lower profile and weight designed for 1/2 ton and 3/4 ton trucks. 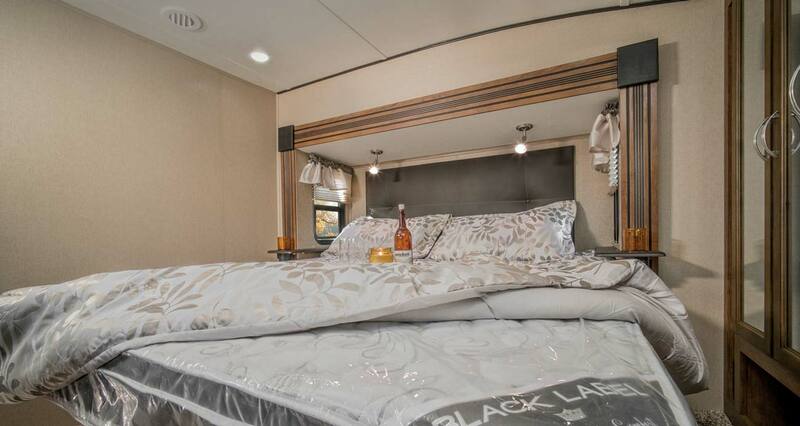 Designed with 3/4 ton gas and diesel trucks in mind, combining great towability and lighter weight, with the spaciousness, luxury, and multitude of features typically found in much higher priced fifth wheels. If you need an RV that can be your home away from home, then look no further than the 2018 Coachmen Fifth Wheel Chaparral RV, Texas. Visit us at your trusted Ancira RV in Boerne, TX to get yours today! You can find us at 30500 IH 10 West, Boerne, Texas 78006 or give us a call at (830) 981-9000 for more information on the 2018 Coachmen Fifth Wheel Chaparral RV. Contact dealer for full details on the 2018 Coachmen Fifth Wheel Chaparral RV for sale, check owner's literature for full vehicle and warranty details.